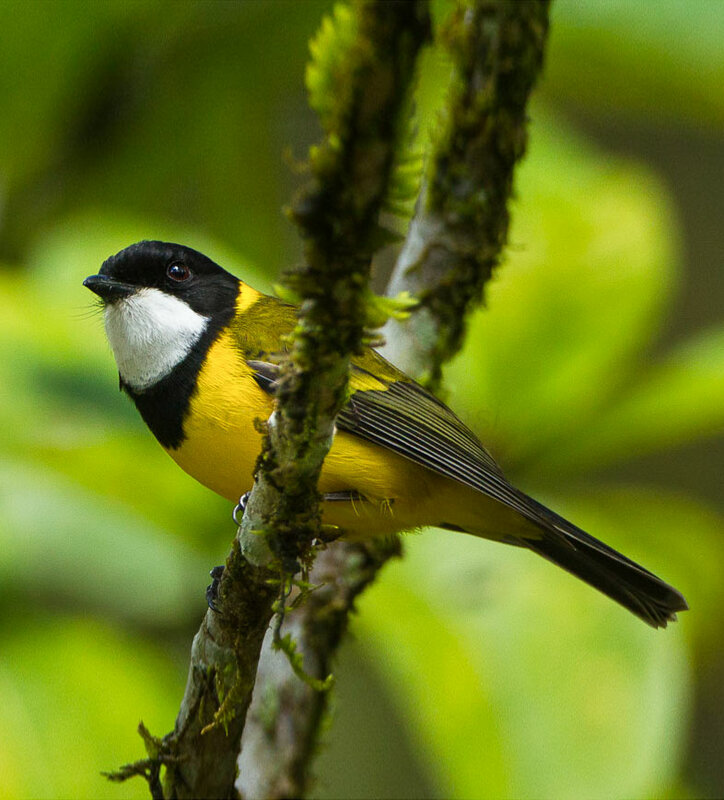 The Australian Golden Whistler (Pachycephala pectoralis) is a common songbird found in woodlands and forests throughout east and south-eastern Australia, as well as the south-west. They are also found on many islands in the Australiasian region with dozens of subspecies recognized, each with variations of song and plumage patterns. 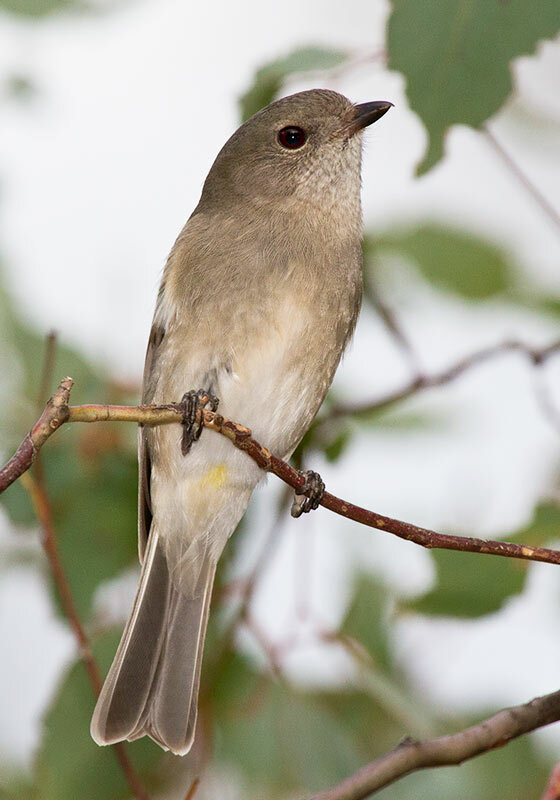 On the Australian mainland, adult males are striking, with a vibrant yellow underside, olive-green back, black head and collar, and white throat. Females on the other hand are mostly dull grey, often with a rufous tinge to the secondary feathers on the wing and a buff or yellowish wash to the belly and undertail coverts. 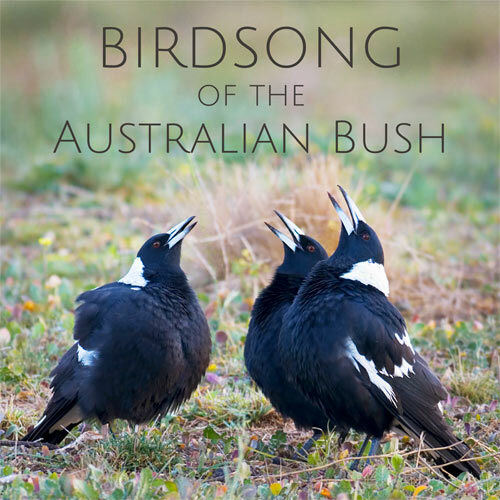 The song of this species is rich and varied, and is a common sound of the Australian bush, especially in spring and summer. A typical song phrase consists of a series of loud, sharp whistles and oftens ends with a whipcrack-like note. 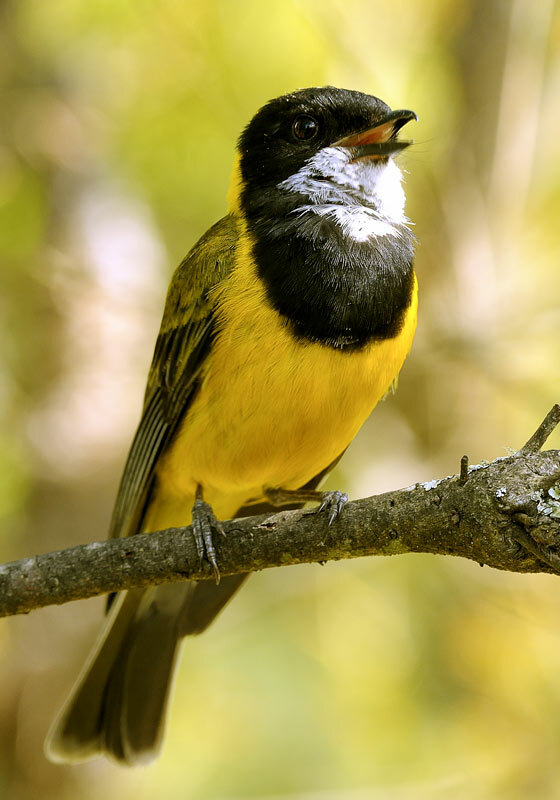 XC340124 This first recording features typical song from a male Australian Golden Whistler (Pachycephala pectoralis youngi) – a series of near identical short phrases, each containing 7-9 clear alternating whistled notes which build in volume and end with two sharper, louder notes. Recorded in Wollemi National Park, New South Wales. XC172046 This next recording is another common song type. In this case, a male and female were interacting and possibly defending territory from a third unseen bird. Recorded in Booderee National Park, New South Wales. XC353410 Similar to the previous song – this is the Far North Queensland subspecies ‘pectoralis’. Recorded in Tully Falls National Park, Queensland. XC201328 A further variation of the typical song. This singing male was recorded in Barrington Tops National Park, New South Wales. XC233821 This is the single-note call – a rising, whistled ‘seep’ often heard in autumn and winter. Recorded at Pilliga State Forest, New South Wales.